At $36,000 this property represents excellent value for money and should be viewed by DIY enthusiasts seeking to renovate and capitalize on a first class location. 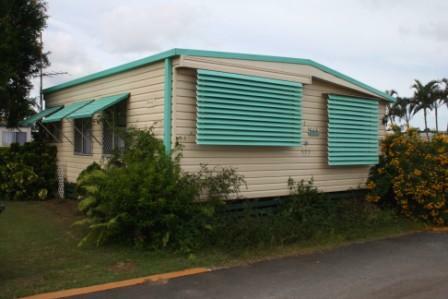 This re-locatable home is located just 50m from the shoreline and consists of an open plan kitchen/dining area with separate lounge and a bedroom with built-in robes. The living area is currently partitioned to provide a 2nd bedroom area. There is an entrance porch, en-suite bathroom, parking space and garden shed. Enjoy either as a permanent home or as a holiday home, bring your builder and your dreams, sorry no pets permitted.